An automotive supplier is expanding in the West Midlands and creating up to 40 new jobs after successfully securing a funding deal. Exact Systems tests and assesses car components for leading motor manufacturers across the globe to ensure the quality and safety of their new cars. Established in 2004, the business has offices in 12 countries and employs more than 5,000 people globally. After winning the order from Four Oaks, based in Telford, Exact Systems has opted to establish a local presence so that it can service the new contract. The move represents a 25% expansion of its UK presence and will see it create 40 new local jobs in Telford. The funding from HSBC has also enabled the business to purchase new testing materials and equipment, which will help the company deliver large-scale contracts without impacting on its cash flow. David Needham, General Manager at Exact Systems, said: Over the past few years we have worked hard to establish ourselves in the UK and, in tandem with support from HSBC, we have identified strong opportunities to cement our roots in the country and grow. The funding from HSBC has been crucial to our business strategy and their insight into the UK market and industry climate has been essential. Stephen Peart, HSBC Area Director for Business Banking in the Black Country and Shropshire added: Exact Systems is a great example of an international business which is committed to positively impacting the economy on a regional level. HSBCs Relationship Manager in the Black Country and Shropshire, Alex Richards, led the deal for Exact Systems and he continues to provide financial guidance to the company as it progresses its growth strategy. 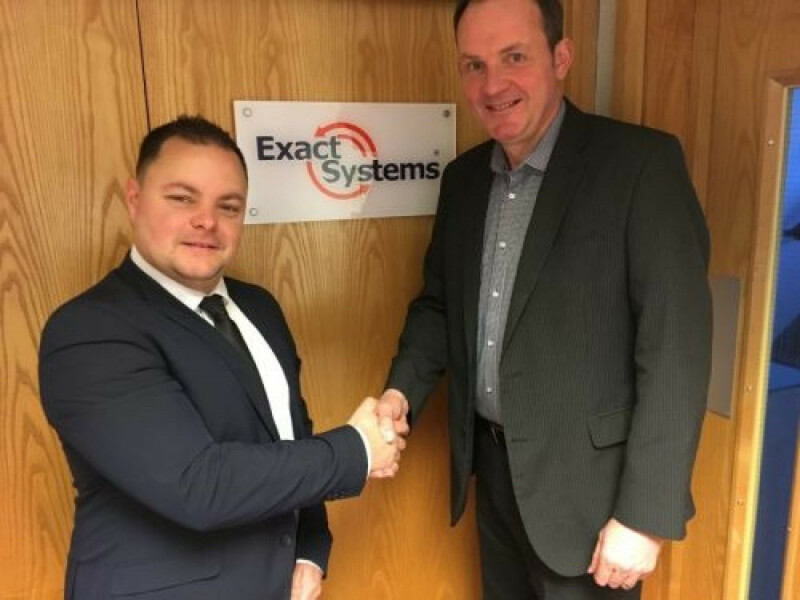 Alex Richards is pictured with David Needham, General Manager at Exact Systems.